To Assist With Construction Of The Saturn V Rockets, Which Of These Groups Was Brought In As Consultants? 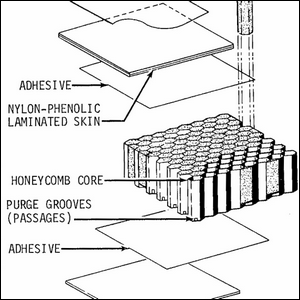 During the development phase of the Saturn V rocket for NASA, North American Aviation insulated the liquid hydrogen and oxygen tanks that fueled the second stage of the rockets with a honeycomb insulation. Despite using what they believed to be the best practices in applying it, time and time again they ended up with failed adhesion and other problems during the build and testing process. In what would—in our humble opinion—be the basis for a fantastic whacky comedy, North American Aviation hired a bunch of west coast surfers to show them how it was done. Why surfers? They learned that surfers pushing the envelope of surfboard design had begun using the same honeycomb insulation they were to create light and strong surfboards. Unlike the team at North American Aviation, however, they had significantly more experience and a much lower failure rate when working with the materials. The real moral of the story though is pretty clear. When you’re racing to put a man on the moon, the best person for the job—no matter what the job—is the person with the most skill.